What If you cannot receive notifications or messages of applications? Learn the reason why you cannot receive notifications for applications and how to solve it. 1. Make sure that your phone is connected to network. 2. Connected to make sure that your phone is or check the settings of your phone. 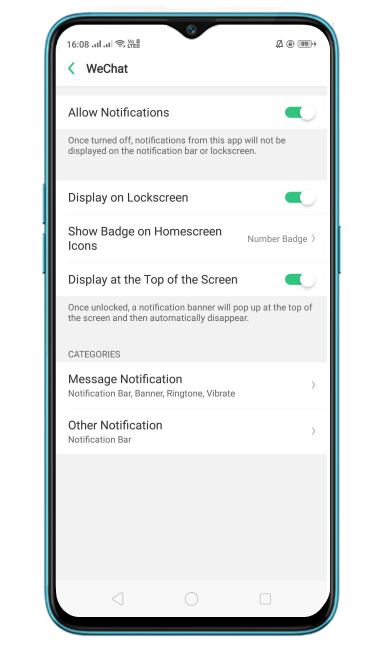 For all ColorOS versions: Go to [Settings] >[Notification and Status bar] >[Manage notifications], click the application that you wish to receive notification, and enable [Allow Notifications]. 1. Make sure that [Low Power mode], [Airplane mode] and [Quiet Time] or [No disturb mode] are turned off. 2. 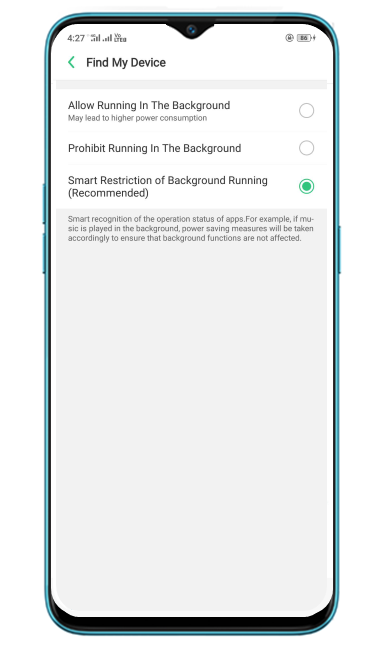 For devices of ColorOS 5.2 and above, go to [Settings] > [Battery] > [Energy Saver] > select the application and turn off [Background Freeze], [Abnormal Apps Optimization] and [Doze]. 3. Click the menu button and slide down the application page until you can a lock icon in the upper corner to allow applications to run in background. Then the application will keep running in background. 4. 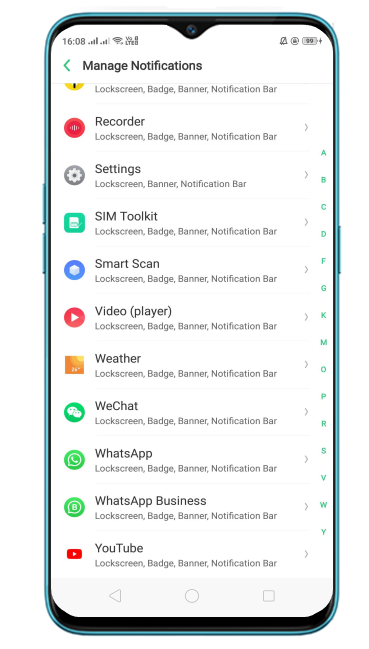 Go to [Phone Manager] or [Security Center] or [Security] > [Privacy Permissions] > [Startup Manager] and turn on the button to allow the application to start on boot and start in background. *In some devices, go to [Phone Manager] or [Security Center] or [Security] > [Startup Manager] and turn on the button to allow the application to start on boot and start in background. Check if there are any updates of the application and download the latest version in [Play Store]. Check if the problem persists after installation of the latest version. In some devices to check the system version and [Software Updates] [Settings] > [System Updates] or Go to. 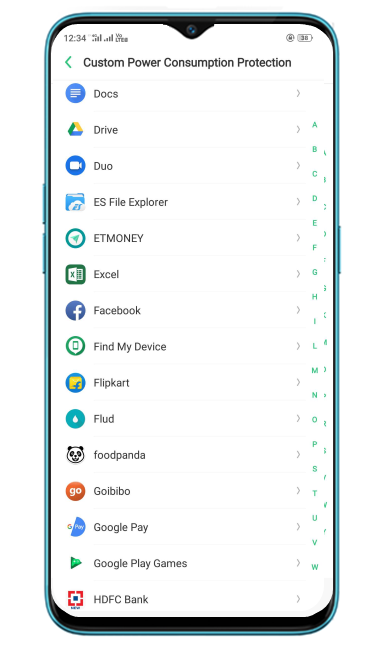 Contact realme service or back up data, take your phone, proof of purchase and warranty card to visit a nearby realme service center for more help.